Enisyl-F Oral Paste is used for treatment of Feline Herpes Virus (FHV-1). 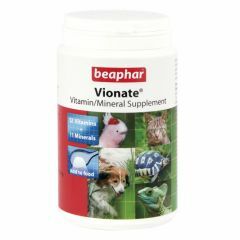 It is a palatable lysine base that comes in a unique pump for easy administration. 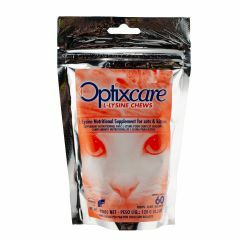 Optixcare L-Lysine Chews for cats are highly palatable and easy to give chews that contain L-Lysine which is a recognized component of the multi-faceted approach to treating herpes infections. 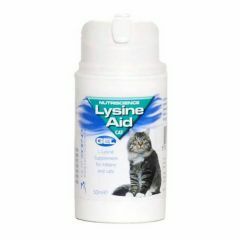 Lysine Aid Gel for Cats is for use in kittens and cats for the management of Feline Herpes (FHV-1). It is a salmon flavoured gel with oral measurements, it is easily administered. 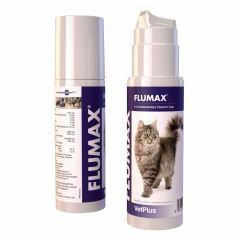 Flumax is a nutritional supplement which contains ingredients to support respiratory tract health in cats and comes in the form of a tasty paste which makes it easier to administer.